This review is long overdue and I am very sorry about that. if you recall, i got a whole bunch of Zaron products in my christmas haul. 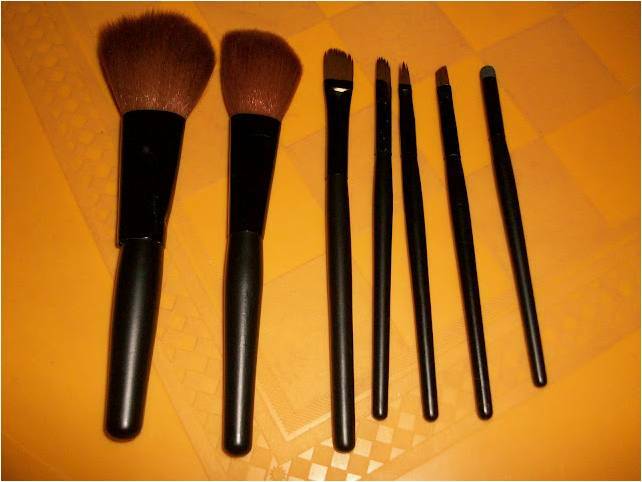 The brush set was among the Zaron products i got and i thought to share it with you. - All the brushes are made of synthetic bristles. - The powder and blush brushes are just ok for their individual purposes. - The other brushes are smaller and flatter and thus are harder to work with when powder is the subject. Thus i would recommend that they be used for creme products only. This brush set is very handy and comfy especially due to the black packaging which will ensure that it does not stain easily. I will however not recommend for a new user or to be used alone for personal makeup application as it will be unable to fulfill all your application requirements. *This product was given courtesy of Zaron makeup & hair. All opinions are my own and i have not been sponsored to write this review.